It is probably true to say that Celestron are best known for their Astro telescopes, which they fist began producing in 1960, Since then they grown to become one of the world's leading makers of telescopes, which used mostly for astronomy. 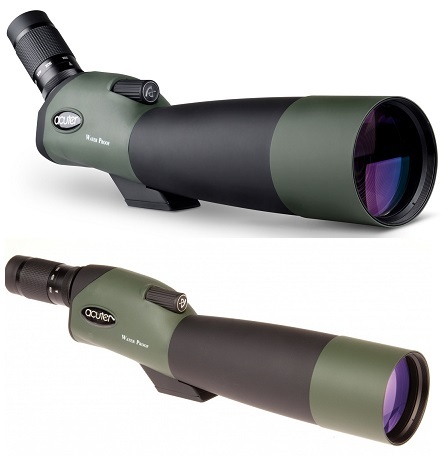 Celestron produce a wide range of terrestrial spotting scopes that is ideal for sporting events, wildlife, bird watching, travel, sailing and for astronomy. Most of Celestron Spotting Scopes have fully multi-coating optics glass elements ensure the highest levels of light transmission, contrast, colour fidelity and sharpness. It had a Bak-4 prism with Extra Low Dispersion (ED) objective lens provides excellent colour correction and razor sharp images while virtually eliminating chromatic aberration. Celestron also offer customers a Schmidt-Cassegrain Spotting that has a good quality optics, that is the reason why NASA chosen Celestron’s C5 Spotter Schmidt-Cassegrain Spotting Scope for many of their space shuttle missions, even this single remarkable fact makes Celestron C5 Spotter Schmidt-Cassegrain Spotting Scope an incredible and reliable product. Microglobe had all of the above Celestron Spotting Scopes at affordable price. Microglobe is one of the largest online store of the UK.